Agility is a popular dog sport which involves directing your dog around an obstacle course. 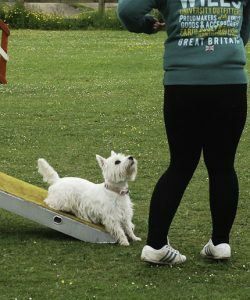 First used as a demo at Crufts to entertain the crowds it has grown into international occupation with many people all the world over devoting their weekends to their hobby. 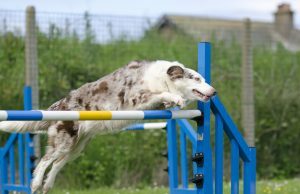 Dogs compete in agility at Kennel Club shows based on their height (small, medium or large), and their ability, which is graded 1 – 7. There are other organisations offering shows with similar criteria too. The club welcomes people who would like to train agility ‘just for fun’ or with ambitions to compete (which is still lots of fun). 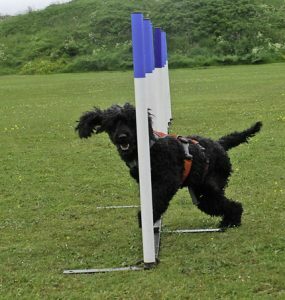 Our trainers, Joanne and Ashlee Orrell have many years experience competing at the top levels within the agility world and will ensure that you have a solid, safe foundation knowledge of how to train agility with your dog, whatever level you get to. Training takes place at Seascale cricket pitch on Wednesdays in the summer and Sunday mornings in the winter. Due to light and weather constraints the class times can change, please see facebook or emails for class changes. 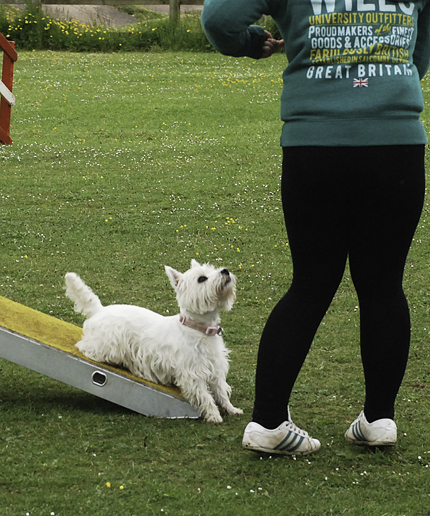 Nearly all dogs can do agility and we have a variety of breeds and sizes of dog, and ability of handler, but a basic level of obedience is required in order to take part as for safety reasons most things will be off lead. We offer beginner and advanced classes.